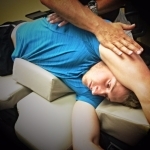 TherapyWorks’ Massage & Physical Therapy Wellness Programs support the best proactive approach to health, athletic performance, and they lower the risk of injuries. At Therapy Works, we believe in being proactive with your health. Although we provide broad skilled physical rehabilitation services for the treatment of many serious conditions, we also offer affordable monthly membership-based wellness programs for massage therapy, physical therapy, exercise, and conditioning to keep you healthy all year around. Starting at just $60 per month, our programs will keep you on track with your physical health goals. Your $60 per month membership fee includes a 1-Hour Massage Therapy treatment each month that rolls over if you do not use it so there is never any risk to you and additional massage treatments for you and family members that live in your home are only $45 while you are a member! In addition, our programs are medically based, which makes us stand out from other membership programs that are available in the market. So whether you just need to relax and unwind with a stress reduction massage or if you have suffer from a medical condition that requires medical massage or physical therapy, our membership programs can help you get back on your feet and feeling your best! Ask about our Active Military, Veterans, and Senior Discounts. Regular massage can help these conditions and many more! Please contact us for more information about our massage therapy and physical therapy wellness programs! We specialize in treatment that ensures your body is always feeling its best.